“`In 1962, an epic Hollywood rivalry began on the set of the psychological thriller, What Ever Happened to Baby Jane? The feud involved two legendary actresses — Bette Davis and Joan Crawford. The gals were already household names at the time of it’s cinematic release. But, it wasn’t their talents on-screen that revitalized their careers; it was their viciousness off-screen. “`The story, which unfolded between Crawford and Davis, is dramatized by Ryan Murphy, who recently directed The People v. O.J. Simpson: American Crime Story and American Horror Story. 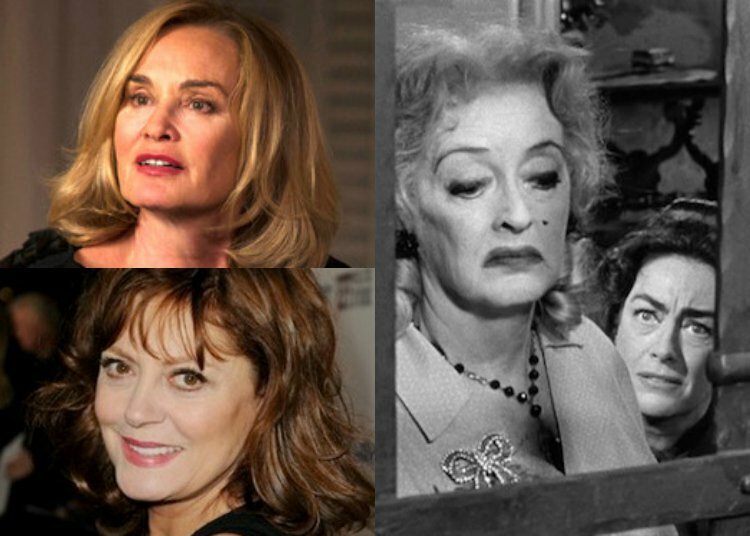 Feud: Bette and Joan will star Susan Sarandon as Bette Davis; Jessica Lange as Joan Crawford; Catherine Zeta-Jones as Olivia de Havilland; Alfred Molina as Baby Jane filmmaker Robert Aldrich; Stanley Tucci as Jack Warner; Sarah Paulson as Geraldine Page; and Judy Davis as gossip columnist Hedda Hopper. The noteworthy cast also includes Dominic Burgess as Victor Buono; and Kathy Bates as Joan Blondell. “`In retrospect, Davis despised Crawford, right from the moment she learned they would be co-stars. Both women were strong, talented, and aging starlets. Their rivalry was most likely fueled by the fear of eventually being upstaged. During filming, much of the physical misery inflicted upon Crawford was literally administered by Davis that left bruises and lasting scars on Joan. 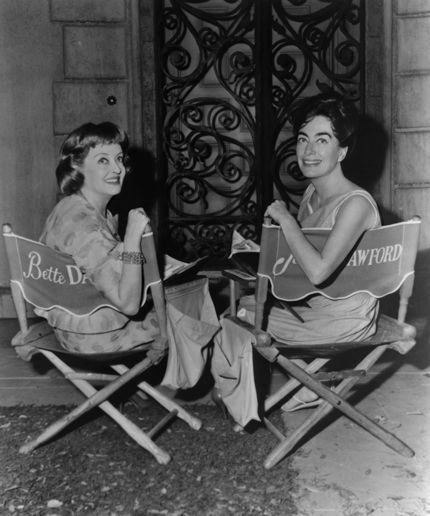 When Hush Hush Sweet Charlotte went into production in 1964, Crawford chose to decline the opportunity to again co-star with Bette; and was replaced by de Havilland. “`The most infamous story that sheds a light on the intense dislike they had for each another took place at the 1963 Oscars ceremony. Davis received the Best Actress nomination for her role as Baby Jane; while Crawford, who portrayed sister Blanche, was snubbed. Desperate to remain in the spotlight, she contacted other nominees for the accolade, and offered to accept it onstage if they weren’t able to attend. Also, she apparently encouraged Academy members not to choose her co-star. Anne Bancroft, who was a no-show, won for The Miracle Worker, and Joan was asked to accept her Oscar. “`FX has ordered eight, one-hour episodes, and it will premiere on March 5th. By all accounts, Sarandon and Lange (above right) are great friends, and got along on the set. This entry was posted on Saturday, January 21st, 2017 at 1:12 am	and is filed under Blog by Manny Pacheco. You can follow any comments to this post through the RSS 2.0 feed. Responses are currently closed, but you can trackback from your own site.